It has three locks and an elevation of 10.3 m and was blasted through the rock using gunpowder in 1854-60. 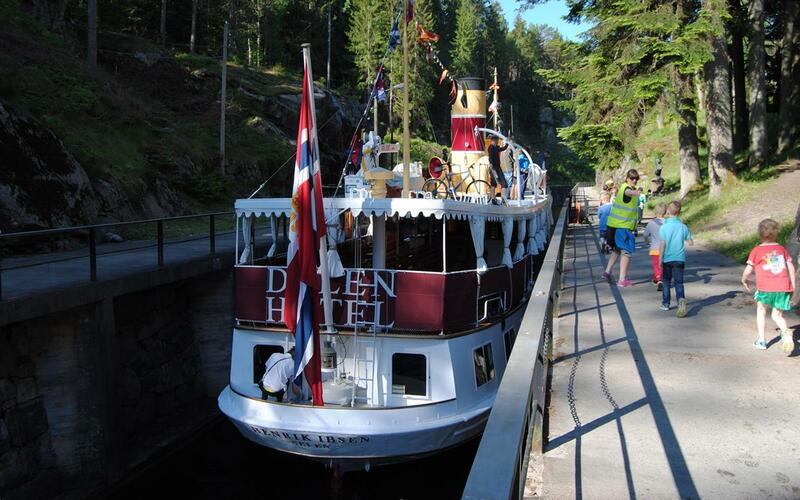 The canal boats "Victoria" and "Henrik Ibsen" run the canal in during the summerseason. 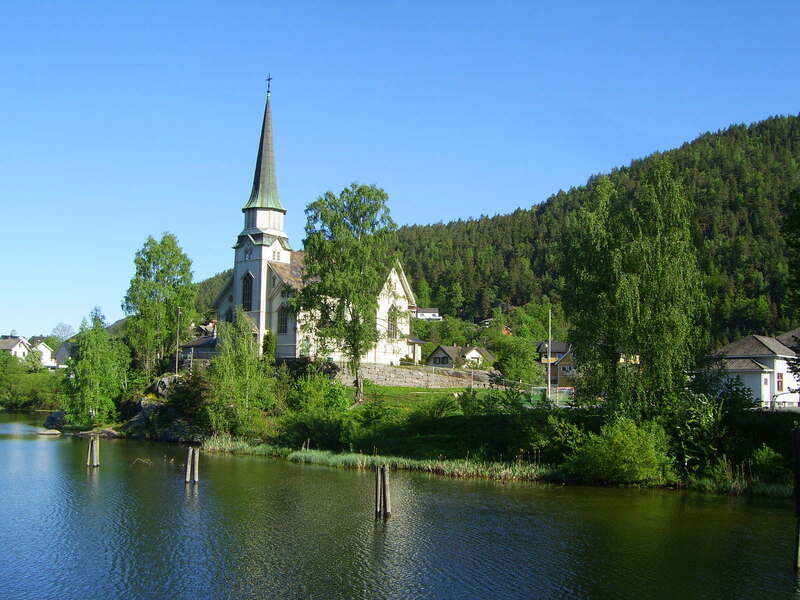 Here you will also find the Skotfoss trail, which is a 3.7 km long cultural trail. 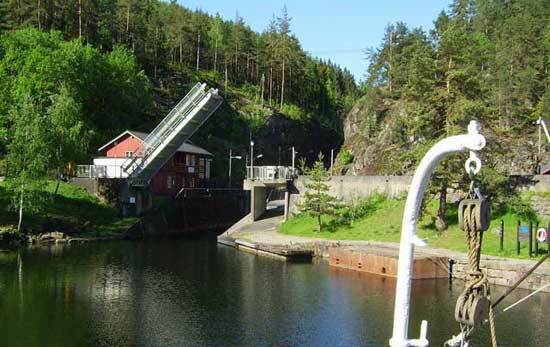 It starts at Løveid locks and goes on in scenic surroundings in woodland and along the river. The trail has a total of 15 illustrated information signs.